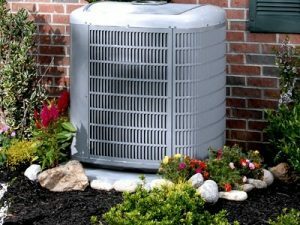 Are you trying to figure out how you’re going to take care of your AC Repair Tomball TX necessities? Maybe you’re not sure how you’re going to be able to fix your air conditioning unit and you’d like some helpful assistance. While this isn’t always the easiest thing to acquire, you can count on our team to be there when you need some help. With the assistance of Houston ADmiral Services, you won’t have to worry about anything else getting the best of your routine. Are you someone who’s using a residential air conditioning unit and you have simply ignored the signs that it needs to be repaired? Maybe you were simply too busy with life and you forgot to figure this out. Our team understands that things happen, but we also encourage our customers to take great pride in their ADC units. These are very important components that change the entire landscape of your home. 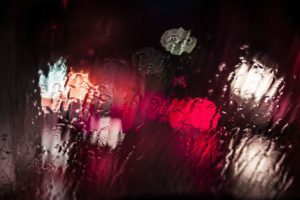 Terrible temperature can throw everything off, and we think we probably all know that from firsthand experience! Commercial AC repair is another thing our team can help you with. Are you trying to figure out how your business AC units are going to work? Maybe you don’t know how your new office is going to heat up when it starts getting cold outside. While you may feel like there’s nothing you can do, our technicians can be of great assistance to you. Make sure you reach out to our team and make the most out of what we have to offer by calling us at 281-876-9400. We’ll ensure you have the resources at your disposal. Our NATE-certified professionals have a ton of information and experience helping people just like you. You’re probably trying to find someone who can handle your residential issues, but you could have commercial problems as well. We take both of these seriously, and we want to do our best to help everybody. Demographics don’t have to be a real thing, and we know how tough it can be to figure out this sensitive balance. Are you worrying about your epairing needs, and you don’t know how you’re going to be able to afford all of them? Maybe you’re figuring out the right methods for getting the most out of your repairs and replacements, but you’re really having trouble with the finances. While this is a part of life that we all must go through to learn and get to eh other side, there are measure you can take. Don’t let it get the best of you instead, lean on our team and figure out your financing. Are you someone who really enjoys consistency and the ability to make consistent payments? If you’re like this, know that our FTL Financial Lease will definitely suit your needs dn much, much more. Are you ready to start making payments towards a fixed interest rate, and a fixed monthly payment? If so, you’ll definitely find solace in this leasing agreement. With this, you’ll never have to wait or worry about your prices fluctuating. Kep consistent and stay the course with the help of our FTL Financial Lease loans. These are inaluel resources you can take advantage to say to get the most possible out of it. The FTL ESC Card is another awesome option that a lot of people fail to take advantage of. Are you trying to figure out what you should do about your financing options and you’re ready to find something different? While you may not know what to do when you’re trying to handle these situations, our team understands that you’ll be able to get out of it with the help of a professional. As you can probably see, it’s a lot tougher than you think to get the right repairing and replacement needs set up in your air conditioning. On top of this, when you need financing, it can make things seem even worse. Make sure you’re able to overcome your situations by calling in our team of technicians when you have questions by dialing 281-876-9400, you will be able to connect with some of the brightest minds in the industry. Don’t wait too long; get in touch with our professionals to you won’t have to wait even longer. Houston Admiral Services prides ourselves on being able to handle your predicaments in a very affordable way. Are you trying to figure out how you’re going to make the most out of your next billing statement? 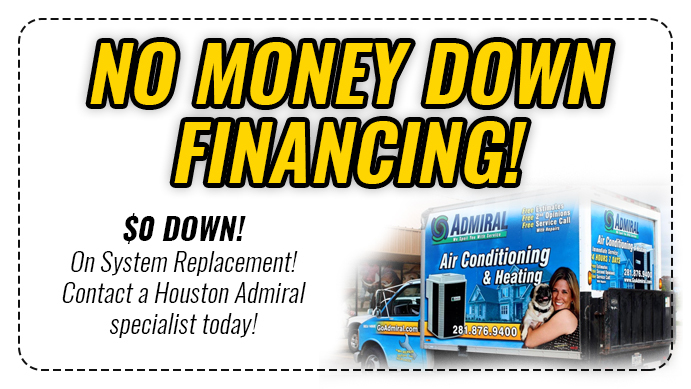 If so, you’ll be glad to know that Houston Admiral Services offers affordable prices that are competitively set. We understand that our competitors are going to want to outdo, and that’s perfectly fine. For decades, we have continued to rise to the occasion and stay a step ahead of the rest of the people who are in our field. Take advantage and be a part of the movement! 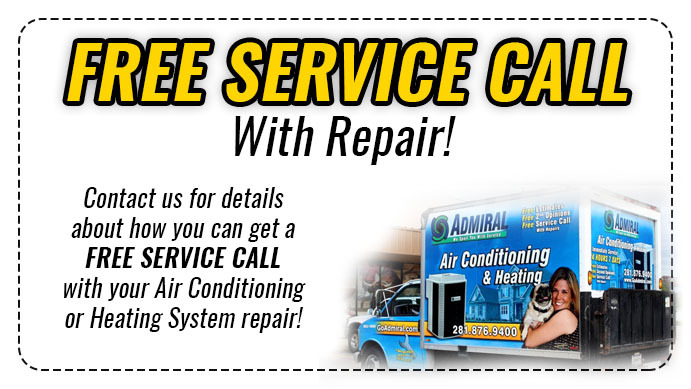 When you’re in need of AC Repair Tomball TX, make sure you count on the team here at Houston Admiral Services. Our professionals care about the outcome of your troubles, and we’ll make sure you don’t have to worry about things for too long. If you’re ready to find out what you need the most, make sure you call us today at 281-876-9400. Our professional team of technicians are prepared to offer you the timely solutions you’re looking for. Count on our pros, sit back, relax, and reap in the enhanced performance. Your AC units will be incredibly thankful, trust us! Students in Tomball attend Tomball Independent School District. While this community is small, they retain their convenience by living close to the big city: Houston! Visit Tomball when you’re ready to achieve your dreams. We want to help you find solace in your service! Tomball is one of the greatest and safest places in all of Texas. We have numerous award-winning communities that keep our Texans safe. Make sure you’re in a good place by stopping by our city.